Without any flavoring aromas, no sugar, no fillers. The best quality raw material for those for whom the effect. 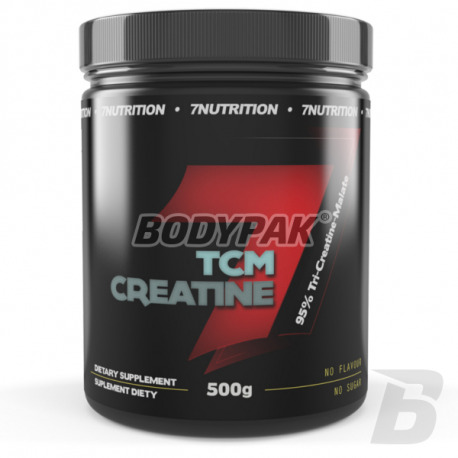 7Nutrition TCM Creatine designed for athletes and people with increased physical activity helps build muscle mass and strength is a pure concentrate of high-quality creatine malate enriched by intensifying its action betaine. 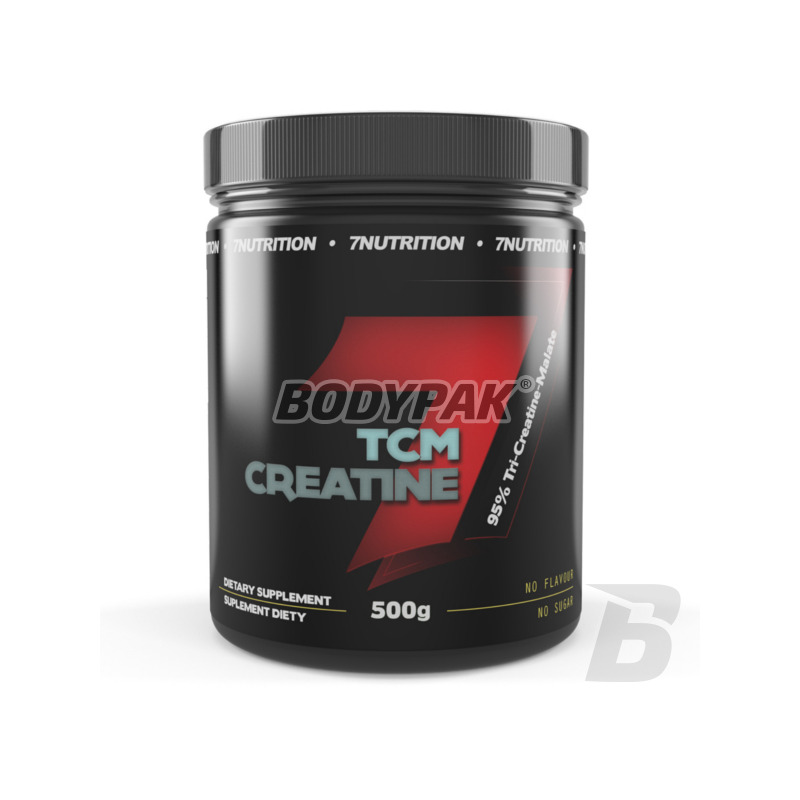 TCM creatine malate is more stable, and therefore it is better used by the body form of creatine, which is involved in the transport and rebuilding of ATP which is an energy carrier in the body, increases the rate of protein synthesis - by increasing the amount of water retained in muscle cells. The use of creatine supplements TCM during the relevant training program and diet will result in an increase in strength and muscle mass and improving performance in all sports. To achieve the benefits of the drug use it as a regular part of your diet. This will help in achieving its objectives.